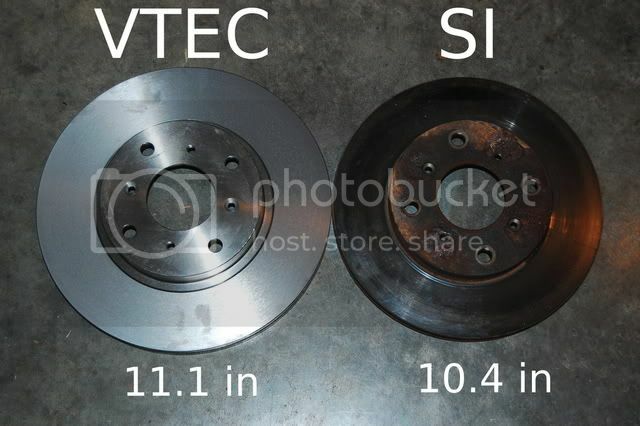 Does anyone know the size diffrence on the vtec rotors and calipers vs. the si's. 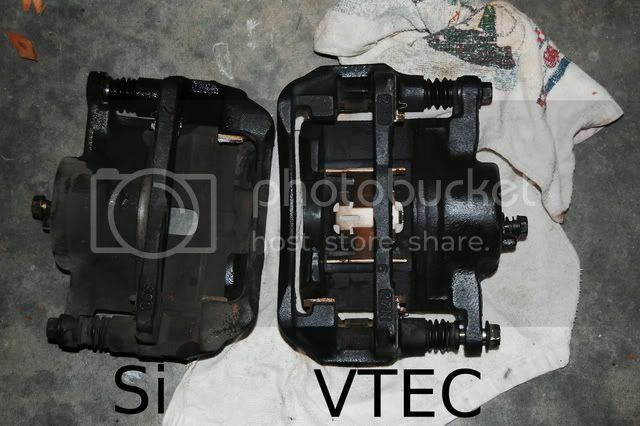 My buddy has rotors and calipers off of a vtec model, and he is willing to give them to me for free. It's about time to change mine out anyways, so is this somthing worthwhile to do. Would it make any better stoping power for me? I think he pulled them off a 94 lude, I have a 92. I've done the swap. the Si's I think are 10.4in while the Vtec is 11.1in and the rears are the same. 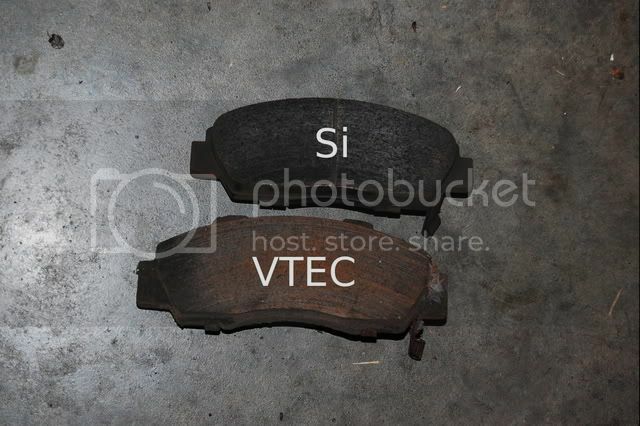 As far as stopping power goes I can feel a difference between the two; less fade, less nose dive, and overall more stopping power with the Vtecs. but with free you can't go wrong. even if there frozen you can go get Referb. and then get a core charge back (Napa is the Cheapest with a $50-core!). It is a easy swap the only thing that didn't work was that the splash guards, just had to be bend them a little. Other than that it is a direct bolt on. Torque the bolt correctly so they wont come off on you while your driving like mine did. Last edited by Dwend; 05-26-2008 at 03:21 PM. That was an awsome response, Thanks for all the pics. I can really see the diffrence. Looks like this will be something i'll be doing. Thanks again!! Excellent post, added to the resource guide! Many thanks Dwend!! !